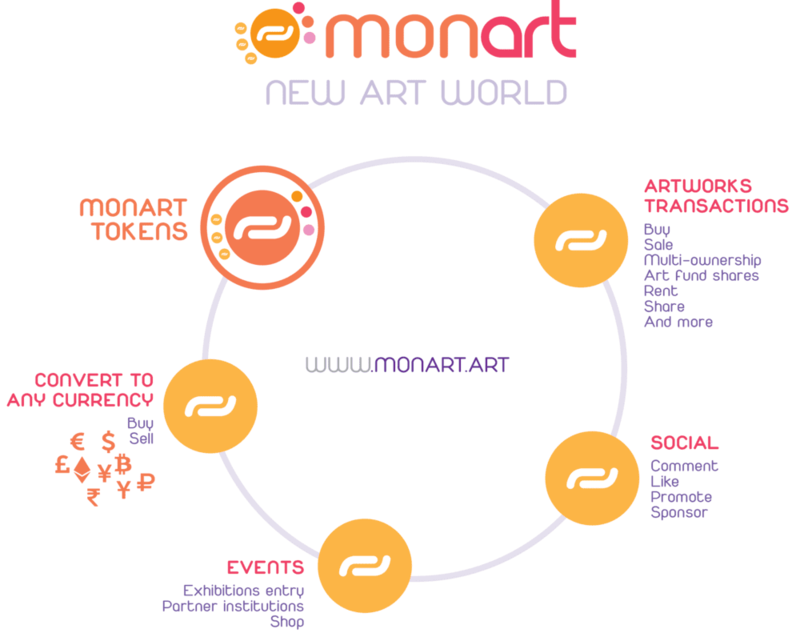 Paris, France, December 18 — By launching the first stage of their STO (Security Token Offering), monart is connecting with investors around the world to finance the development of their 21st century artistic platform combining art and blockchain into an innovative digital experience. "This private STO will enable us to attract the international investors interested in our project of offering all art lovers, artists, creators, galleries, curators, auction houses from all over the world...a creative marketplace to promote contemporary art in all of its forms (physical, digital, etc. ),” says Malo Girod de l'Ain, President of monart. "This first step will allow us to finalize the MVP by the end of the year and launch the monart art collection, whose expert committee includes Christie's former contemporary art director," adds Pauline Houl, co-founder and CEO of monart, based in Beijing. • A transformation of the artistic experience to discover artist's universes & artworks both physical and online, real and AR, 3D &VR, and more. • New investment and liquidity options for artwork collectors, through the purchase and trading of artworks or collection of artworks or of shares of those. • A unique STO: half of the STO's revenues will be invested in a large art collection whose gross profits are 100% paid to token holders, who will receive an additional 10% share of the large monart marketplace transactions gross profits, not to mention many privileges including private sales, discount sales, exclusive art collection creation, VIP events invitations and more. In other words, the monart business model is separate from the Bitcoin and cryptocurrencies market and presents a unique approach with its innovative STO. "Monart's objective is to reach 1.6% market share after 5 years,” concludes Malo Girod de l’Ain.